DUTCH HARRY (AUS) (Bay 1998-Stud 2004). 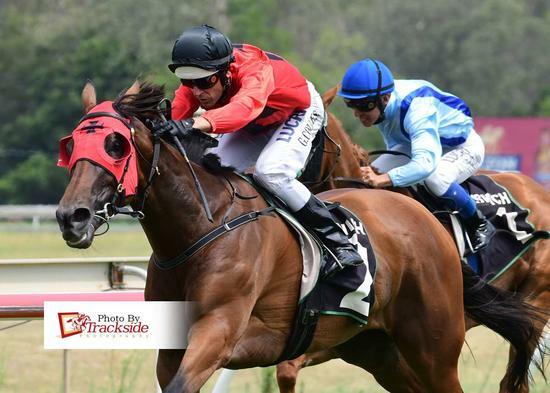 4 wins-2 at 2-at 1200m, 1600m, $291,650, Qld Tatt's RC Tattersall's Open Mile, GCTC Queensland Events Corporation H., Qld Tatt's RC City Rowers H., 2d BTC Champagne Classic, Gr.3, 3d Qld Tatt's RC Australia Post S., L, QTC JF Meynink S., L, 4th BTC Courier-Mail Classic S., Gr.3. Half-brother to the dam of SW Mr Hornblower. Sire of 31 rnrs, 18 wnrs, inc. SW Dutchy's Lass (MVRC William Crockett S., L) and of Dutch Treat, L'Entrecote, Dutch Gal, Park Chinois, Zoutano, Chanamaro, Island Tang, Our Boy Houdini, Sharp Bijou, Istalena, Lola's Diamond, Dutch Twist, etc. Lola's Diamond (f. by Dutch Harry). Winner. See below. STATE PROSECUTOR (More Than Ready). 3 wins from 1300m to 1800m, A$225,610, in 2017-18, WATC Belmont Guineas, L, Get the Tabtouch P., Ascend Sales Trophies H., 2d WATC Aquanita S., L, Belmont Classic, L, Kalgoorlie Boulder RC Boulder Cup, L, 3d WATC Tabtouch P., Lavazza P., 4th WATC Raconteur S., L.
Winner at 1650m in 2018-19 in Aust.